Martin Lastrapes is the author of Inside the Outside, a self published debut novel that really struck me as something new, fresh and totally compelling. I have to warn that the nature of this novel is very graphic in content, as it revolves around a cannibalistic community hidden in the heart of the Inland Empire (California). Also, I would like to add that this novel is not about violence or its glorification: it is a story about human beings and their relationships with each other. When I asked Mr. Lastrapes to answer a few questions, he was very happy to comply, even if this is actually the first of a series of interviews with authors, and I really thank him for his kindness and his trust. His novel can be purchased on Amazon as an ebook or as a paperbook and I strongly recommend it. 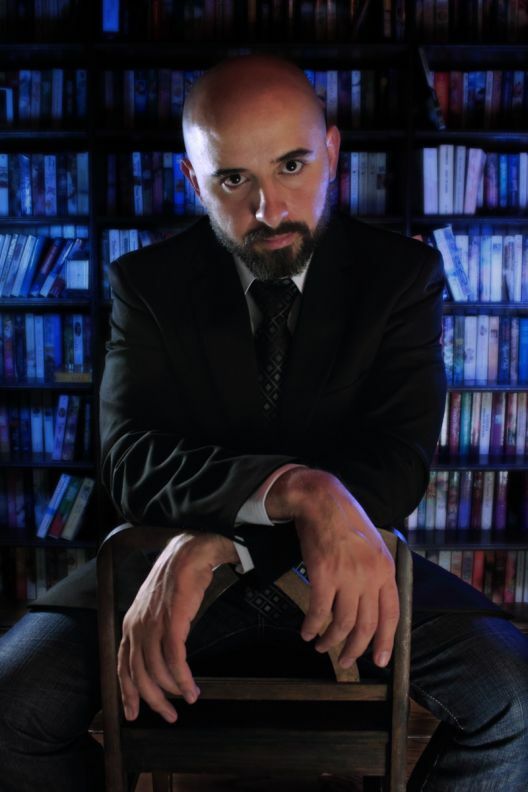 Another interesting piece of news you might like to know about this novel is that Martin Lastrapes and his brother Greg are currently working on an adaptation of Inside the Outside (and they are using Scrivener too, my favourite writing tool!). In Greg’s blog you will find a few articles about this adaptation’s process (Part I, Part II and Part III), and I think that these articles make for a very interesting read, especially from a writer’s point of view. I would really love to see this novel on screen, and I have the gut feeling that this is going to happen someday (no, I am not jinxing it, I don’t believe in jinxes!). Now, on with the interview. At first glance we could say that Inside the Outside is a novel about cannibalism. But I feel there is a lot more than that. Can we say it’s actually a novel about how our knowledge is formed from birth and about human relationships? Yes, that was definitely my intention. I’m very fascinated with how people grow up to be who they are, what forces around them shape and form their thoughts and beliefs about the world. The story of Timber Marlow and the Divinity was meant to work as something of a metaphor for this idea. Apart form the obvious research about the Inland Empire, did your novel involve other, more specific research? I did a lot of research, yes. Primarily, my research was focussed on sustainable communities, which are communities of people who live off the grid, unattached from mainstream society. I needed the Divinity to be as isolated and private as possible, so I read many books and articles to help build this imaginary community in such a way that readers would believe it could plausibly exist. What do you think is today’s perception of the human body? In America, I think the human body is seen primarily as a commodity. Whether it’s celebrities who offer their image for film and print or laborers who offer their physical efforts, the human body is seen as something to be bought and sold. On an unconscious level, I think many people feel a lack of control, like their bodies (and, in essence, their lives) don’t really belong to them. I suspect this would go a long way towards explaining the overwhelming popularity of tattoos and body piercings. Sometimes in your book you anticipate certain twists, often even in the chapter’s title. This is a very interesting choice, can you elaborate on that? I love chapter titles and I think a good title can help tell the story. In my case, I used certain chapter titles to create anticipation or tension, so that, before the reader even gets to the first sentence, they are already invested. What are your favourite horror movies/books? Believe it or not, I don’t read a lot of traditional horror novels. I have, however, read many, many Stephen King novels. The Shining is probably my favorite. There are many authors I love who write (what I would call) dark fiction, such as Chuck Palahniuk and Cormac McCarthy; Fight Club and The Road are amongst my very favorite books. As for films, I was obsessed with Nightmare on Elm Street and Friday the 13th. As a teenager I discovered the Hellraiser films, which I loved. I think Wes Craven’s Scream series is just wonderful and while I don’t think No Country for Old Men is a horror film, it terrified me as much as any traditional horror movie ever has. Do you have a writing routine, something helping you to keep on schedule? No, but I should. I give myself the general goal of writing something (anything!) every day, but I don’t have a particular routine that I go by. Sometimes, however, I can go days or weeks without writing anything. Even when this happens, I am always thinking about writing; specifically, whatever project I’m working on. How is self-publishing working out for you? It’s working out great. I love being in control of every aspect of my books, from the cover art to the story editing. It is a lot of work, but it’s very gratifying. Do you think there is ever going to be an italian translation? I really hope the novel comes to the big screen as well. I love the book. It’s not just horror, it ‘s drama, thriller, romance…a little bit of everything. The cannibal thing drew me in, but I was surprised when I started reading, I could not get enough. Cassandra, you are absolutely right. Good fiction manages to break the boundaries of its genre, and Lastrapes’ novel is really a work about human passions, weaknesses and everything else. Moreover the point of view is really amazing: it really brings you inside the story. As a film buff I would be thrilled to see it on screen. Let’s cross fingers!